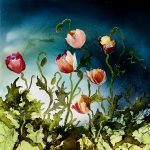 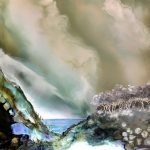 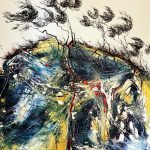 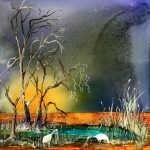 Meg Lewer is an Australian Contemporary Artist working with the exciting new medium of Alcohol Inks. 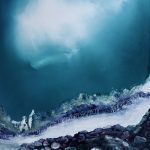 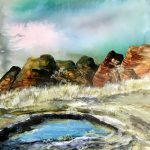 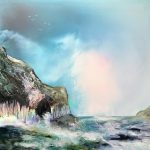 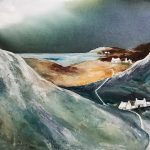 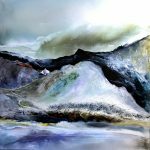 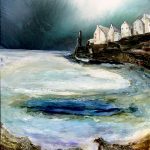 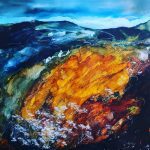 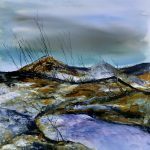 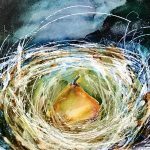 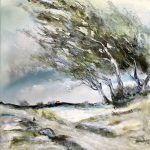 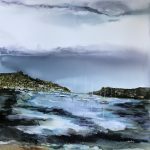 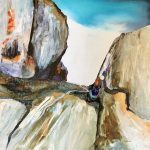 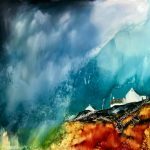 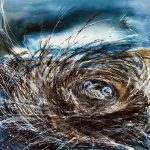 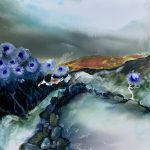 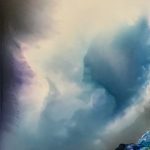 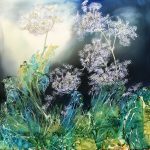 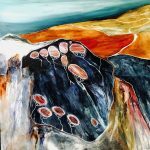 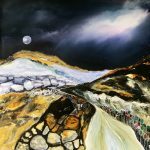 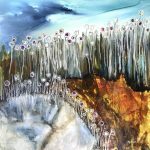 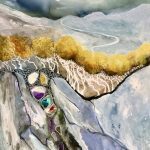 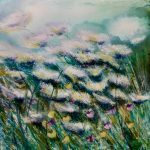 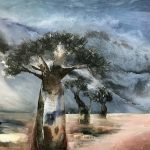 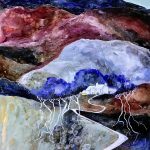 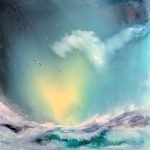 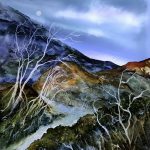 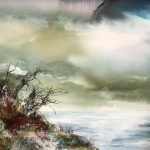 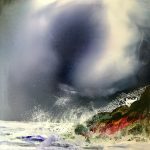 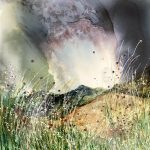 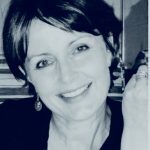 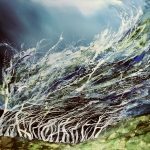 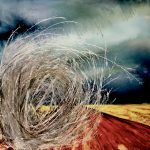 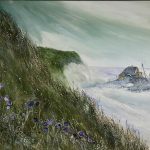 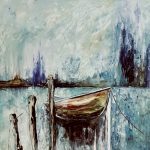 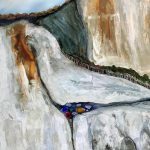 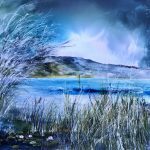 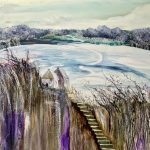 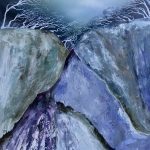 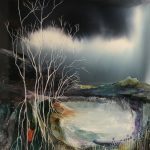 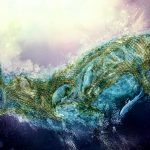 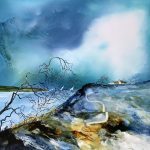 She endeavours to create artworks which celebrate the beauty of nature, to capture a mood and image which reflect her responses to places she has been or seen. 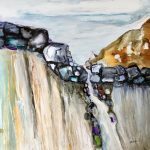 Hovering between reality and abstraction, trying to depict the extraordinary in the ordinary, Megs chosen medium suits her personality and hums with a creative energy of its own. 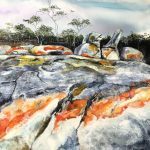 Meg Lewer grew up in Brewarrina, a small town, on the banks of the Barwon River and home to the 40,000 year old Aboriginal Fish traps. 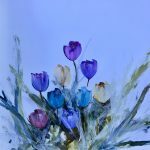 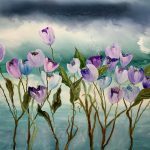 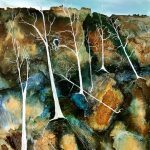 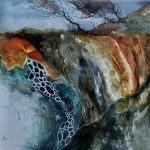 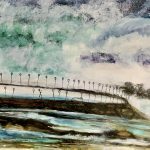 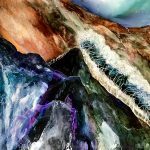 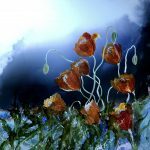 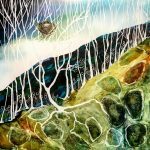 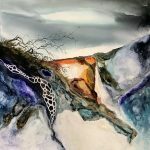 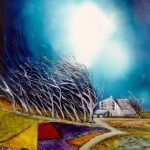 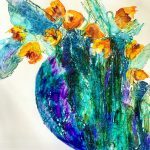 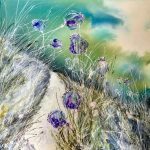 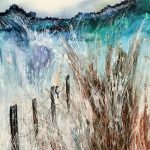 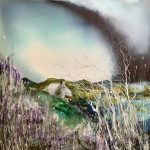 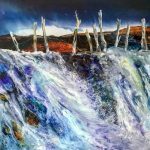 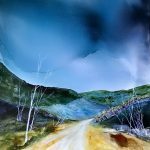 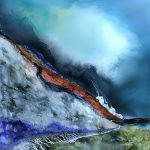 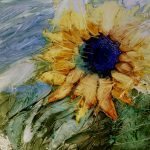 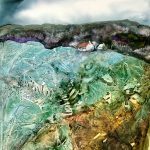 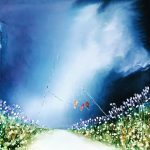 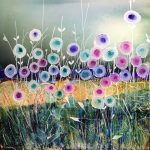 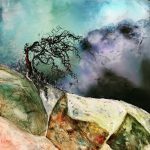 Now residing on the Central Coast, she is a full time artist, working predominately with Alcohol Inks, which are acid free, fast drying, transparent and spirit based. 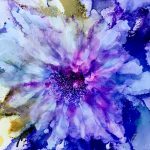 Each painting is worked with a combination of small brush strokes and an interplay of the Inks running across the surface of the board. 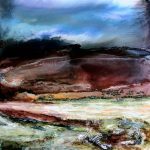 Megs’ subjects change from week to week but the overriding force involves colour and the visual delight it brings to so many subjects. 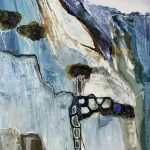 Hovering between Realism and Abstraction, her paintings throb with the movement and richness she finds in the shadows and reflections of our landscape. 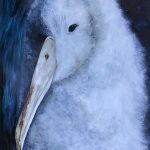 “You have the eyes of a magpie” I was told when young, always looking, always inquisitive, seeking understanding. 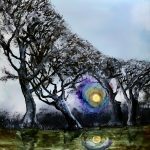 My art is a reflection of that never ending quest for knowledge especially in the natural kingdom. 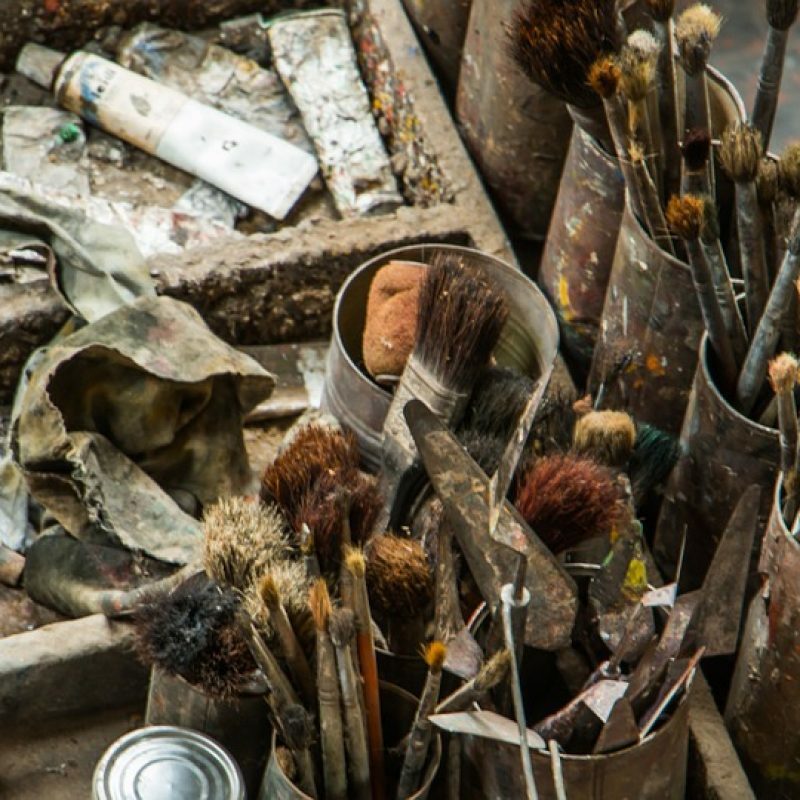 Early inspiration came from my Father, a character and story teller who beautifully illustrated his fictional characters onto whatever surface was available including our house walls! 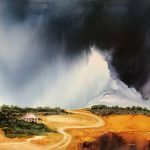 Talented in his own right and winning first prize in the Royal Easter Show for some of his work which was a pretty big thing back then. 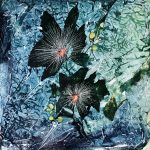 A spatter fish, painted using a bit of old gauze wire and my very own toothbrush, which never fully recovered, were my earliest memories of art class with the Nuns at St Patricks, Brewarrina. 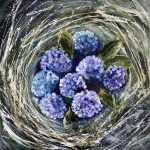 Studying Nursing, owning a Bed and Breakfast, and raising a beautiful family but always drawing, sketching and creating through the busyness of life, I finally found the time to pursue my art in a full time capacity. 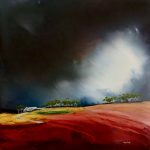 Sitting beside a campfire, mesmerised by the red heart of Australia under violet heavens. 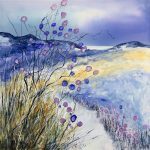 Striding across the purple, heath covered English Moors. 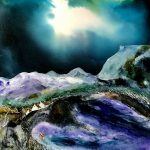 Freezing in the vastness of Antarctica or simply reading a great book about Apothecary in my chair, all awaken the desire to create a memory. 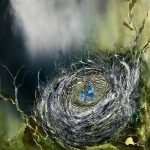 A diary of my responses celebrating the blessings of nature and the capturing of a memory in time. 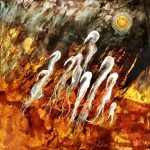 Goethes’ Quote in the 1800’s is my favourite. 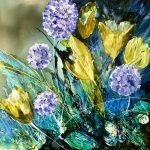 “The Art of Painting is to see beyond the everyday Vision” speaks to me that beauty can be found in small things, always. 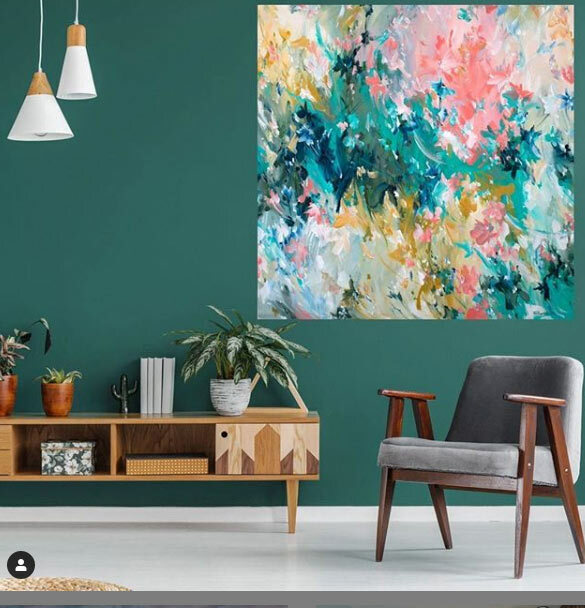 I love colour, its interactions on the page, its subtlety, boldness, restfulness and cheekiness and these inks hum with a creative energy of their own which suits my personality. 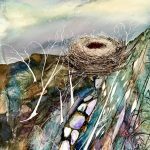 My hope is that my art weaves a magical fairy-story for others just like those early illustrations did for me.